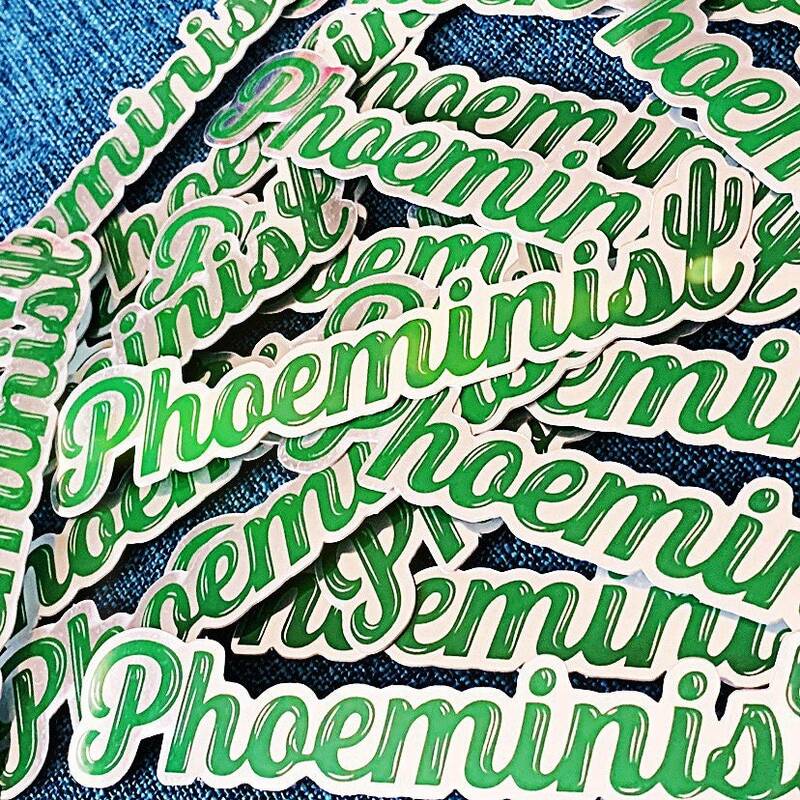 Phoeminists unite and show that strong female pride all over the Valley of the Sun! Our super shiny mirror finish, weather proof sticker is perfect for laptops, skateboard decks, sketch book covers, Hydro Flasks and MORE! 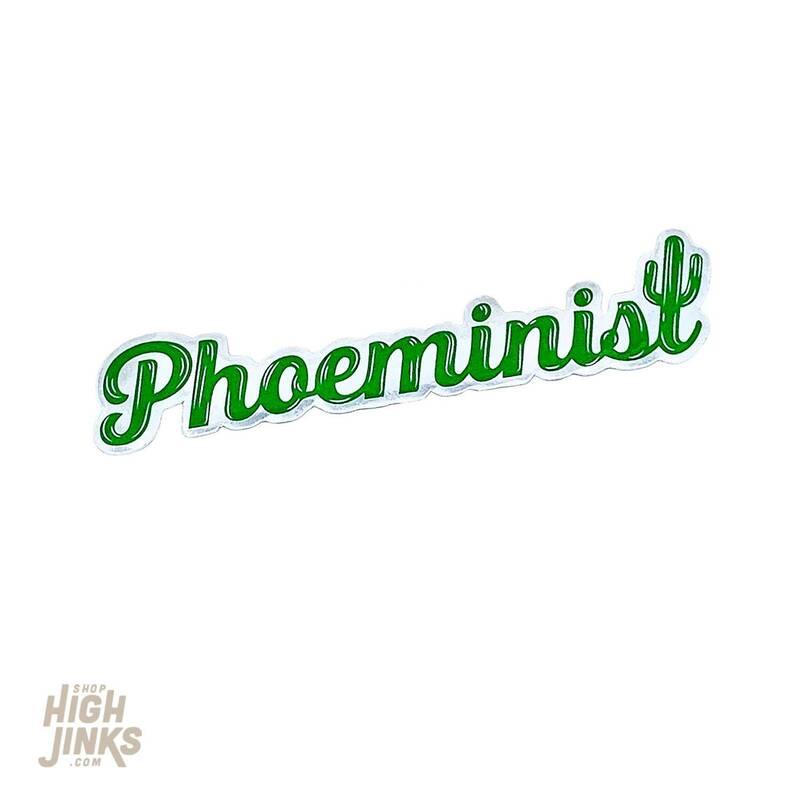 4.5 x 1" mirror finish with uv coating to resist the tough desert elements.